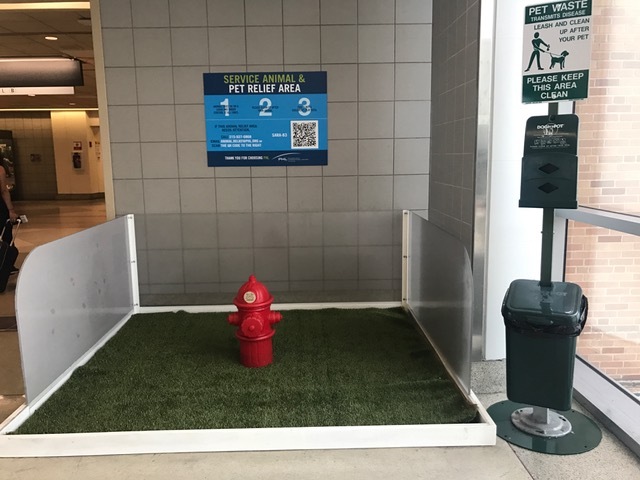 Most bathrooms for dogs at airports are now nearly identical: fake grass and a fire hydrant. But I learned Woof Woof has a weird preference. He prefers the bathroom isn’t flushed after each use so he can smell that previous dogs have been there, but not so much that he sees another dog’s poop. That should be cleaned first. 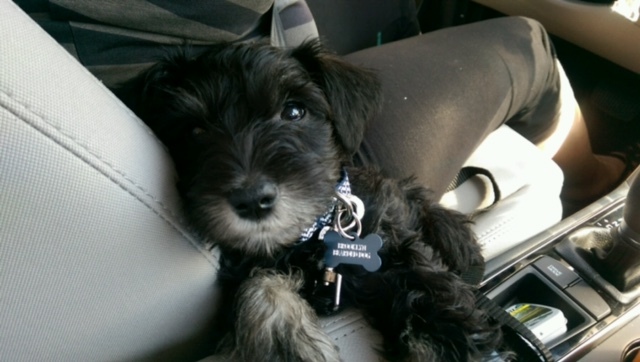 Woof Woof, a 6-month mini schnauzer, is our official travel blogger. He travels the world reviewing hotels, restaurants and his experiences. Check out his columns every Wednesday. The column is co-written by his dog parent, travel writer Reyna Gobel. Her travel articles have published in Costco Connection, Southwest Spirit, American Way, and Hemispheres. Woof Woof was in Myrtle Beach for his first professional conference in May: BlogPaws, a professional development event for pet writers. Before taking the big plunge into his career, he needed a day of rest away from the conference hotel. He chose the La Quinta Broadway. There was nothing particular he noticed aout the room. He didn’t jump onto the bed or look towards the view. He really just sniffed around. But what he did notice was a lot of barking as he walked through the hallway. While he has stayed at many dog friendly hotels, this one seemed to have the most dogs. He was often petted and acknowledged. It was if it was truly his hotel. 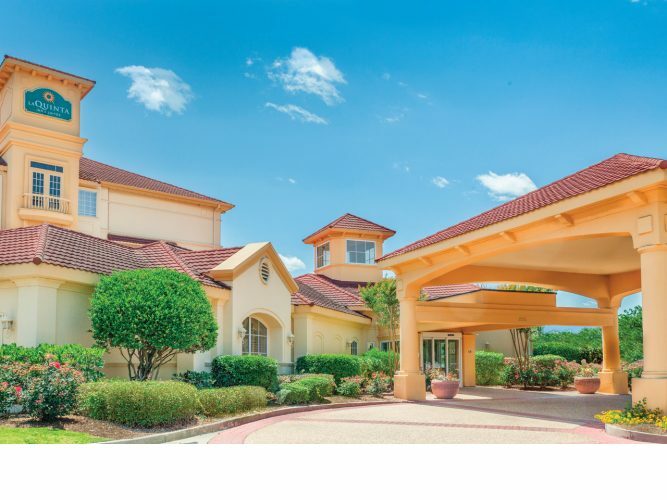 Location wise, the Hollywood Wax Museum is across the street for humans, and Broadway on the Beach, an outdoor shopping area that welcomes pets, is a short walk away. The boardwalk, however, is just over a mile from the hotel. Myrtle Beach gets hot during the summer months. It’s a nice stroll in the very early morning or in the evening. Otherwise, it was a bit too hot for Woof Woof and resulted in a lot of panting and a request for me to carry him. I’d stay there again with Woof Woof in cooler months or for one evening where we just want to rest away from the boardwalk.